Wirelessly connecting a PlayStation®3 (PS3™) to the Internet allows you to gain access to online services such as the PlayStation® Network and PlayStation® Store. You will also need to connect to a network in order to play online games and use the web browser. This article will help in setting up the PlayStation®3 to wirelessly connect to the Internet. This article assumes that you are using a North American PS3™. If you’re using an Asian version, the confirm (X) and cancel (O) buttons may be reversed. Make sure that no Internet cable is connected to your PS3™’s Ethernet port; otherwise the console might attempt to configure its network settings through a wired connection. Power ON your PlayStation®3, then go to Settings > Network Settings. Scroll-down and make sure that the Internet Connection is set to Enabled. Scroll-down to Internet Connection Settings and press the X button on the controller. NOTE: If a prompt appears, choose OK to begin setup. You will be disconnected from any active Internet connections. Select Easy and press right. Choose Wireless and press right. Under WLAN Settings, choose Scan to begin searching for your Network Name (SSID). You should see a list showing wireless networks within range. Choose your network on the list and press X. Confirm the correct SSID and press right on your D-pad. The PS3™ automatically highlights the security mode it detects from your router. Press right to proceed to the next screen. If you selected a security mode, press X to begin entering the network’s passphrase. You may use the onscreen keypad or any compatible keyboard. Press Start or [Enter] after entering the passphrase then press right on the D-pad to review your settings. NOTE: WPA keys are case sensitive (abc is different from ABC). WEP keys are hexadecimal (0-9 and a-f) characters and are not case sensitive. Make sure that you have entered the correct settings then press X. Once you’re done, press X again to begin testing your connection. Testing the connection usually takes less than a minute. 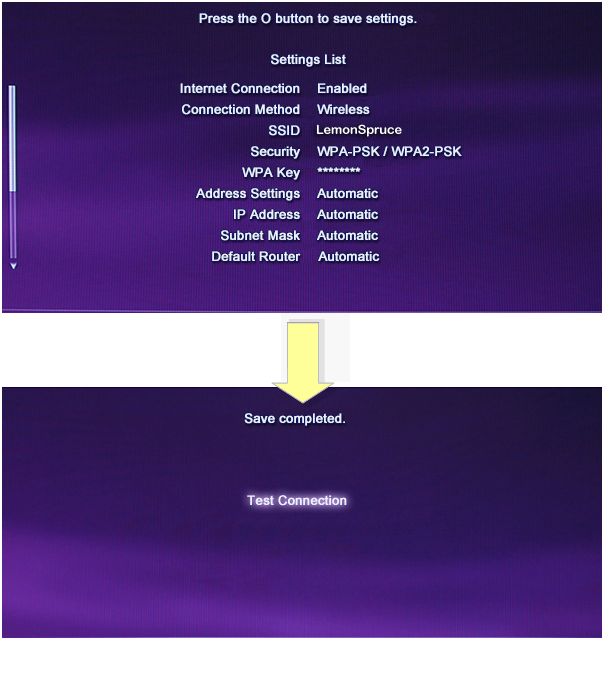 If you configured the settings correctly and Internet connection is available, the tests should show Succeeded. 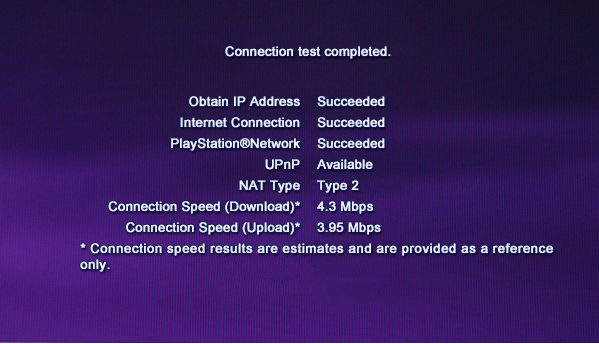 If the test fails, go back and make sure that your settings on the console match the ones on the router. For more information on how to troubleshoot connection problems with your device, click here. The Linksys router has the capability to connect multiple devices in the network such as smartphones, game consoles and printers. If you have a large house with devices that require top wireless speeds and a wide range, you can also extend the range of your wireless network by using other networking devices from Linksys such as the Powerline adapters. To know more about Powerline adapters, click here.